Conrad sent me this pleasing rant by M. LeBlanc in response to a piece by Mark Krikorian at the National Review complaining that people are pronouncing Sonia Sotomayor’s name correctly. I do like to see stupidity flayed with gusto. Thanks, Conrad! One of the pleasantest things about America, I think, is that names are such a mess that everyone’s used to having to ask their owner how to pronounce them, and abiding as best they can by the answer. Which I think is lovely — genuinely multicultural. There aren’t so many things I like about America that I view attempts to wreck the ones I do with equanimity. My name, “Favier,” is an easy French name, shared by an old movie star, to make it easier. Yet I grew up pronouncing it FAVE-yurr, and still tell people that’s how it’s pronounced. Which it is, because I say so. In the circles I move in now, people tend to try out fahv-YAY, which is more or less like the French pronunciation, but so far I’ve resisted the “correction” of my name. For my money, Sotomayor’s name is pronounced however she says it’s pronounced. That’s just ordinary courtesy, isn’t it? And a courtesy that Americans by and large (excepting Mr Krikorian), are quite willing to rise to. Laurence Olivier had exactly the same problem, but he finally gave in and accepted the Frenchification. Hang tough! My Finnish grandfather changed the spelling of his last name on immigrating to the U.S. in 1916, specifically because no one was pronouncing the original spelling correctly. The new spelling didn’t do the trick, and the family eventually caved and started pronouncing it American-style. I kind of wish I had the old spelling, and I sometimes think about experimenting with the old pronunciation, but the problem with that is that the new version is for all intents and purposes my “real” name. And affirmatively changing it seems a bit frivolous and maybe a little obnoxious for some reason. I vote for trying to say people’s names the way they prefer. There’s more personality and, yes, identity in it. That said, the fact is that most non-Spanish-speaking Americans are not going to pronounce Sotomayor with a perfect Puerto Rican accent. But the Krikorians of the world (read: bullies) won’t be happy until we’re all Smiths and Joneses. Laurence Olivier: if he did not want his (chosen) last name to sound French, why did he chose a French name? olivier means “olive tree” but it is fairly common as a male first name – I have a first cousin named Olivier. On the other hand, Laurence in French is a female name, corresponding to the masculine Laurent which was a last name in earlier generations of my family. How does Mr Krikorian pronounce his name, and does it correspond to the way his ancestors did? what about his neighbours, readers, etc? No amount of ranting will help much against Krikorian, I suspect. I prefer the tack of ignoring people like him, and others who express pig-headed “anti-multi-culti” opinions only to annoy, because they know it teases. Apparently, many radio and TV commentators don’t know, or care, how foreign names could be pronounced. That they might not know is surprising, since all they have to do is ask. That they don’t care, is less surprising. This is true on American, British, French and German airwaves. (Germany: “Los AIN-geles”, France: “Freud” with the eu as in “peu”). Last midnight I heard a BBC Radio 4 newscaster mispronounce Sotomayor in a slightly strange way that I can’t describe now, since I was half asleep – but it woke me. Rehearsing what I had heard, I was able to connect it up with Sotomayor’s name, which I had only seen once recently. Even Radio 4 hasn’t got its act together. It’s only Spanish, for Chrissake – was my initial thought. But to be fair, current knowledge is that there is a general neurophysiological limit to just how “correctly” one can learn to pronounce names from arbitrary countries whose languages one has not mastered over decades, including the pronunciation. Also, when I think of “German”, I should add that the word “language” makes things sound simpler than they are, given the fact of regional pronunciations. Still, it’s not too much to expect that the chattering classes should make a little more effort to pronounce foreign names as well as they can under the phonemic constraints of their native languages. To a BBC newscaster or National Review writer, “Sotomayor” is not rocket science. On the subject of being overwhelmed by names: Germany appears to be a breeding-ground for break-your-balls double names. They’re mostly affected by women who, it seems, cannot make their peace with the marital state. A top SPD politician is Heidemarie Wieczorek-Zeul. A few years back, the Justice Minister was Sabine Leutheusser-Schnarrenberger. By the way, I hope to have that name-pronouncing site up and running in the near future, in a preliminary version. Krikorian seems absolutely nuts, and LeBlanc is almost spot-on by comparison, but she seems to be going a bit too far the other way: she seems to take for granted that the “correct” pronunciation is the foreign one, not pausing to ask how Sotomayor pronounces her name in English (unless we’re already supposed to know? ), and even goes so far as to express annoyance at her brother for supposedly mispronouncing his name. Like Dale above, I grew up in the U.S., pronounce my last name Americanly when speaking English, and find it just as odd when people insist on re-Hebraicizing it as when they insist on further Anglicizing it. @ marie-lucie, he addresses the point of his own name in the article. I read the original article, and it seemed like the real premise was that most Americans will read a name and will naturally pronounce it in a consistent manner that is natural in English. By extension, the name will be changed in different ways in different cultures. b) I would accomplish nothing else in life. That was some high-grade industrial strength bigotry-flavoured idocy there. Sadly we have similar debates here about names, especially Māori names, both personal and topographic. The arguments are the same too, effectively saying that the basic courtesy of at least trying to pronounce someone’s name they the way [b]they[/b] want it pronounced is liberal namby-pamby nonsense. Hell, I’ve spent the last 35 years of my life getting upset when people just SPELL my name wrong, I can’t imagine what it would be like to have people say it wrong. Just the another night I was interviewing someone for work and the pleased surprise in his voice when I pronounced “Arvind” more correctly than he has doubtless become accustomed to here made my evening. I wonder how these bigots reconcile this with the good manners they no doubt profess to esteem? Well, I tracked down the original article and it does not sound to me that MK is recommending “pronouncing the name incorrectly” on purpose, all he says is that one should not insist on a pronunciation that goes counter to how the majority of people will interpret the name when they see or hear it. I have a French name which luckily looks on paper like it could be English, so depending on who I speak to (eg socially or not) I give one or the other pronunciation (and if my name does not matter too much, eg if I call a taxi, I use a common English name which sounds somewhat similar to the English version of my name, so as not to have to go through the problem of spelling an unfamiliar name on the phone). I prefer to hear an anglicized version of my name rather than a very poor pronunciation of my actual French name. But I sympathize with people whose name is much more different than mine from English spelling and pronunciation habits. I am surprised though that MK says that his last name Krikorian is pronounced by English speakers with four syllables rather than three. I too have often “pleasantly surprised” people by pronouncing their names “correctly” when they are used to hearing garbled versions (but I am a linguist, I tell them), but it is impossible to be familiar with all the numerous foreign names that one encounters. I do ask people how they pronounce their name, but not all of them want others to use the original pronunciation: like me, they prefer to hear an anglicized version rather than a poor pronunciation of their name by a well-meaning person. Heidemarie? Sabine? I cannot pronounce these barbarous names. And Finnish? Who can pronounce Finnish? There is a play or something in which an arrogant aristocrat, when introduced, tells someone to his face that he cannot pronounce his name, making clear that the aristocrat is right and the name is wrong, wrong, wrong. The Chinese system is to have multiple names for multiple circumstances while keeping the real name secret to the extent possible. They’re completely willing to adopt an American name for American circumstances. How seriously they take it is their business. Exactly so. If I am confident of my ability to pronounce the name well, I may do so, but as a general rule, I ask first. To do otherwise seems impolite. The Chinese system is to have multiple names for multiple circumstances while keeping the real name secret to the extent possible. The Panjabi system seems to be almost the opposite – they only use their “real” names in formal situations or with outsiders, and use pet names within the family and with close friends. As a result, I struggle to remember the formal given names of most of my friends. Crown is pronounced the French way. As “Luxury Yacht” is pronounced Throat-Warbler-Mangrove? I like to pronounce American-German names in German. It works particularly well for the financial mogul Sandy Weill. I have an unusual German last name, so uncomnmon that even Germans have to ask whether I pronounce the V as a V or an F.
In the US, I gave up on V as F from the start, but I tried to keep the accent on the first syllable. It didn’t work — when asked, I pronounce my name with the accent on the first syllable, and people wil repeat it immediately with the accent on the second syllable. I don’t know whether that’s because I use a relatively non-reduced pronunciation of the vowel in the second syllable, or because there are two consonants after that vowel. Anyway, from my own experience I’m sure that Ms. Sotomayor is used to hearing various pronunciations of her last name, and that she knows that to make an issue of the pronunciation is pointless and counterproductive. The Panjabi system seems to be almost the opposite – they only use their “real” names in formal situations or with outsiders, and use pet names within the family and with close friends. This sounds exactly like the American system: most people introduce themselves in social situations by “I am Bill” or “I am Smitty” or “I am Babs” or some such childish nickname used in their family, not by “I am William Franklin Roosevelt the Fourth” (I invent but I once meant somebody by a similar name, a scion of a famous family). And sometimes people are mentioned in the paper as “William Franklin “Skippy” Roosevelt IV” (again I invent), meaning that they prefer to “go by” their single-word nickname in most situations. ‘Skippy’, that’s a terrific name, very benign. There’s a US thing — a shibboleth of Eastern protestant upper-classdom — in which certain nicknames, including ‘Biff’and ‘Bunny’, feature. My favourite is/was an ancient heiress called ‘Bunny Mellon’. Biff & Bunny don’t sound particularly British upper-class to me, though they may simply be old-fashioned names, I can sort of imagine them occurring in Wodehouse, as does ‘Buster’. read, I think you should change your name to Skippy; it’s much better than Ursula, which makes you sound like a bear. Of course, ‘Skippy’ sounds like a Kangaroo to some people. This sounds exactly like the American system: most people introduce themselves in social situations by “I am Bill” or “I am Smitty” or “I am Babs”. The American system you describe is basically the same as that among English speakers here in Zild, too. The difference with the desis I know is that their “pet” names are assigned more or less at birth and are the only names used among the family. So while I might be “Stu” to some of my friends, they will still call me Stuart on occasion, but Rahul is always Buffy, his sister Latishya is always Livy, their father Parveen is always Binny, their cousin Sangeeta is always Sheenu, their mother Neelam is always Shobha, etc. So much so that in some cases it was years before I even learned what their formal given names were. It is a matter of degree, really. Anglos have pet names for family members, but for example, a mother will often use a child’s formal given name as an indicator of displeasure. I have often heard cross words exchanged in Panjabi, but even then the formal names were never used. Sorry, but I forgot to add one other difference – the desis I know do NOT introduce themselves to strangers by their family “pet” names. A close friend of mine who is also Panjabi only ever calls Parveen and Neelam by those formal names because she is not close to them. I have also erred in the past by using such a name to refer to the brother of a friend at a point in our acquaintance that they considered too early to merit such familiarity. Or you could adopt one of those wonderful old-fashioned English names like Moon-Unit. I haven’t had occasion to appear before Judge Sotomayor, but I know many attorneys who have, and there’s never been any question about how her name should be pronounced. That doesn’t mean that they all do it perfectly, but they try and at least get the accent on the correct syllable. My own last name is German and contains the letter combination “ei”. Apparently when my father immigrated in the 1950’s, he was told that Americans pronounce the diphthong “ee” and went along with it. But when he met my mother, an Irish girl from Chicago, she pressed for details about the pronunciation and then insisted on the one we use now. Throughout my childhood and early adulthood I was routinely told by others that I was either misspelling or mispronouncing my name, but after I asked how they pronounced “Einstein” and “Eisenhower”, I was generally left alone. These days I still see my name spelled with all manner of a’s, e’s, i’s, and y’s in different combinations, and get lots of people who keep forgetting and say “ee” even after I correct them (it’s an easy way to screen telemarketers), but I encounter more apologies, and a lot fewer people than I used to who insist that I must be the one in the wrong. So I have a lot of trouble accepting Krikorian’s critique as anything but a coded and despicable appeal to divisive social prejudices. Maybe if I read his article, I’d be persuaded otherwise, but it just doesn’t seem like the best use of my time. “This sounds exactly like the American system: most people introduce themselves in social situations by “I am Bill” or “I am Smitty” or “I am Babs” or some such childish nickname used in their family” – MOST people in America are not called Smitty or Babs. As the French have no need for such things as childish nicknames, you’ll permit me to call you Luce. Is the problem that “like many” exceeds the requirements to explain why some particular individual is introduced with only one name? Does it unnecessarily exoticise a country that like everyone else has cell phones, a local Оддын Эрэлд (http://www.youtube.com/results?search_type=&search_query=%D0%BE%D0%B4%D0%B4%D1%8B%D0%BD++%D1%8D%D1%80%D1%8D%D0%BB%D0%B4+&aq=f) and a CGI sci-fi film Цахирмаа (http://www.youtube.com/watch?v=aRAfgPkpwcY)? Is it really impossible that Сайнцогт (good spirited?) chooses not to include his father’s name when speaking professionally? read, I don’t find your comments annoying. Moon Unit is the name Frank Zappa gave to his daughter about the time that the Americans were landing things on the moon (she is known as Moon). His sons are called Dweezel and Ahmed. They are (apart from Ahmed) completely original names. I like them for that reason, plus they’re funny. Hozo: MOST people in America are not called Smitty or Babs. I didn’t say they were called that, but that it is very common for Americans to introduce themselves that way in a social situation. Of course they have childish nicknames, but they usually keep them within the family. you’ll permit me to call you Luce. That is another name altogether and would not be used as a nickname for Lucie, which is only half of my name. I can’t prevent you from using it if you want, but I would much prefer you didn’t. read: Nobody is mocking your English. I once spent a few weeks with a large family. One of the grownup sons was introduced to me as “Scotty”. After a few days he showed up with a baseball cap bearing the name “Arthur”. I asked him why his cap said “Arthur”, and he explained that Arthur was his actual name, and Scotty only his childhood nickname. But no one ever called him Arthur or even Art. I know an Arthur in NY. Everyone calls him ‘Buzz’ (I call him Arthur). My first name is entirely phonetic in a pan-European sense, but Americans mangle it anyhow. I wouldn’t mind, but they way that they pronounce it means something like “crazy woman” in Serbo-Croatian, so I just go by “Dee.” Much easier. For Americans, at any rate. Weirdly, the British tend to get it right. A few generations back my last name is attested in three different spellings and two different pronunciations. I think it is because some semi-literate ancestors moved to Paris from a remote province, so that their names were written down by different officials according to the pronunciation they thought they heard, which was not that of the capital. My grandfather settled on one version, which was passed on to his sons and grandchildren, but his own sister used a different spelling and pronunciation. When their parents died they had two sets of funeral cards made and sent to two different sets of acquaintances, each of which only knew one version of the name. You mean it is pronounced [eky] (écu)? Neither my first name nor my last name can be pronounced by English-speaking persons, because of the two [y] sounds. Turks can. You have two [y] sounds in your name? Maybe I’d better learn some Turkish. You have two [y] sounds in your name? Yes, indeed, and I know it can be a pain in the arse. Er, I mean a double pain in le… ahem… le [ky]. Double somehow like une banane philippine. By capital, I think you meant ‘Paris’, not ‘T’. However, an ‘A…..’ is the name given (according to Wiki) to a unit of length and to a unit of area (…) used in Quebec as well as in some areas of the United States that were part of French Louisiana (…) 220 French feet, used in Paris. So that may have been the cause of some of the confusion — or not? Wait, here it’s May 30 and there it’s 31 mai… This must be due to the earth’s rotation, something like that. Time for bed, Sygynys. This week’s Secret Asian Man. AJP, by “the capital” I meant Paris. I did not stop to think that it might be ambiguous. It is still the 30th of May here on the other shore of the Atlantic, but it is the 31st in the Indian Ocean. Yes, and Noetica might be getting out of bed, yawning like any decent oyster. The world should have been flat indeed. This whole nonsense somehow reminds ms of two things: first, my high school graduation, from a school in suburban Atlanta, before which the gentleman announcing everyone’s name passed out cards on which the students were to spell out the pronunciation of their names phonetically. It was sweet. He still butchered some of the names, but he wanted to get them right, and that’s completely appropriate. That old, southern white guy had a lot of class; Krikorian does not. It also reminds me of my mother’s old maid, whom for years she called “Candy,” having been introduced to her as such by her boss. One day, “Candy’s” cousin filled in, and was confused: who was this Candy person? She was filling in for FANNY, her cousin. My mother’s boss, thinking that “Fanny” was obscene, had summarily changed her name, and the poor woman was so scared of losing her job that she kept quiet about it for ten years. In a free society, we should be able to choose our own names, and we should be respectful enough of everyone else to at least do our best. Krikorian isn’t standing athwart history yelling “Stop,”, he’s just being a damn boor. Well hat, you’ve posted quite extensively in the past about how people should purposefully not use the “correct” pronunciation of foreign cities using phonemic rules foreign to English, like using Paree rather than Paris. As far as I can remember you made this argument on the basis that it’s pretentious and exists only to set up an artificial divide between the people who learn the “right” way and the people who are doing it the “wrong” way, both of which I totally agree with (hope I’m not putting words in your mouth). So why is it different with names? It isn’t! Unless someone is actually learning another language, they should just pronounce a name according to the normal rules of their dialect and everyone should accept it and not even try to teach them the “proper” way or use the “proper” way in exception to their dialect’s rules! It would be arrogant and stupid of me, for example, to go to my African coworkers and go “Actually, my name’s Matthew and not Matyu, and you should say it correctly even though that’s not naturally the way you would say it in your dialect” and it would be somewhat pretentious for them to purposefully make exception to their dialect to pronounce it the “correct” way, and it would be divisive of them if they then used that pronunciation and the fact that they didn’t need prompting to use it as some kind of silly status symbol with their fellow dialect speakers. Of course, I do think people who weight this pronunciation issue as having broad and deep implications in terms of cultural assimilation and respect are a bit bonkers (in either direction – both the nutters who think not using the “correct” pronunciation is “linguistic imperialism” or some such godawful nonsense and the crazies who think it’s multi-culti gone mad). This stuff isn’t that important. Be able to — most people don’t, though. And I don’t know which ‘free society’ you mean, but in a lot of European counties you can only ‘choose’ names for your children that have official approval. There are no Moon Units in Germany or Dweezels in Norway, despite those counties being a lot freeer in many other respects than the Land of the Free. Much as I wince at American mispronunciation of foreign names (Khaleed Shaikh Muhammad, Beiring), it’s high-handed to require that we pronounce them as they are in their native languages. (In those languages, American names are blithely mispronounced all the time. Fair’s fair.) If a name doesn’t fit smoothly into the English phonetic inventory, it’s just pretentious to use the original pronunciation. That’s Rochester’s 8(? )-year-old French ward, I’m pretty sure. So it’s a combination of Continental snobbery and childish sulkiness, I think. In the last resort, names relay on the quality of the diction available. If it be counted , how many sounds of syllables are there in toto in mondo versus how many can be in use by the usual taught ones, guess less than 30%? Arthur, that’s a good point if I were talking about choosing names for children, but I wasn’t. People in countries with traditional naming structures can, furthermore, ask their colleagues to call them something besides their traditional name. But it is! It’s completely different! A place name is a word like any other; it is an arbitrary designation used by a language for a place. It usually has a fairly close relation with the local name, but often the relation is fairly distant, and sometimes nonexistent (the Cantonese who came to California during and after the Gold Rush called the state “Gum Shan,” or “Gold Mountain”). People in a given place do not have a proprietary interest in what people call that place in other languages. This is why I get so cross about calls to “correct” the English names for places elsewhere in the world; English has perfectly good names for those places, and it does not need to adopt some approximation of the local name out of some sense of political correctness. Personal names are entirely different. Each person’s name is uniquely bound to that person, and there are no foreign-language equivalents of it. There may, of course, be equivalents of part of the name; my given name is Stephen, and every European language has its own version of that Biblical name: Etienne, Esteban, Stepan, etc. etc. But my name is none of those—it is Stephen. Now, of course one makes allowances for linguistic differences; Spanish articulatory habits do not allow for initial consonant clusters, so Spanish-speakers whose English isn’t fluent tend to call me /estiven/, and that’s fine. And I’m sure Ms. Sotomayor doesn’t expect English speakers to articulate her name as if they were Spanish-speakers. But it’s one thing to say “Hey, I’m doing the best I can with my linguistic equipment, I hope it’s an acceptable approximation” (which would be my attitude), and quite another to say “I’m not even going to try to say your name correctly, because it’s Furrin and I don’t speak Furrin, so I’ll say it however I like and you can damn well put up with it,” which is the attitude being objected to here. I go openly by my name here (and everywhere), so I can talk about it in detail. I myself pronounce it /dZAn ‘kaun=/. I am not insistent about my first name, but I’m fairly picky about how my last name is pronounced (and my wife, who chose to adopt it, is even more so). Here in New York, it is often read /’kow@n/, on the assumption that it is a respelling of “Cohen”, and I know people who simply cannot say /’kau,@n/ even if they have just heard me say it! Usually this is just a quirk, but on at least one occasion the mispronouncer’s facial expression practically shouted “I know who you are, you self-hating Jew!” I am not Jewish (though all but a few of my close friends are, and even my wife is of Jewish descent) so all I could do was shrug. As for my middle name, which I don’t use much, it is Woldemar (my grandfather’s name) and I pronounce it more or less Germanwise: [vo:ld@mAr\]. He himself was called Wally by his wife and Bill by his co-workers, probably because he signed his name W. Schultz. m-l: I think it’s usual for Armenian names in American English to be pronounced with [-i@n] rather than [-jan] or [-j@n], and with the stress on the antepenult. So [krI’kOr\i@n] is what I’d expect. Lastly, Laurence Olivier did not (unlike many players and movie stars) choose his name: his father was Gerard Kerr Olivier and his mother Agnes Louise Crookenden. The little French girl in question is recently arrived in England and is not yet speaking English very fluently, so I don’t think the problem is either “Continental snobbery” or “childish sulkiness” here. The various versions of r in English are very difficult to pronounce for a person raised with the “French r”. Adding to the difficulty is that this r comes at the end of the word, after the diphthong represented by ey, so it is not really a consonant (but still difficult to approximate), and the ey is not a real vowel, so the word is not at all easy for a French person to reproduce. “Aire” would be pronounced the same as Eyre in English, but here it represents how the girl is pronouncing the name with her French accent (like “air” in French), that is, she is using a true vowel in place of the diphthong, and presumably pronouncing a “French r”. As for myself, after decades of speaking mostly English, this word would still be a dead giveaway that I did not speak it from earliest childhood. JC: I think it’s usual for Armenian names in American English to be pronounced with [-i@n] rather than [-jan] or [-j@n], and with the stress on the antepenult. So [krI’kOr\i@n] is what I’d expect. I did not know that, I assumed it was [-jan] or [-j@n]. For instance, I have always heard the conductor Raffi Armenian‘s last name pronounced as [armi’nj@n] on (English) Canadian radio, and similarly for other well-known persons of Armenian origin. I did not know this either. I read somewhere (a long time ago) that “Laurence Olivier” was a pseudonym, and I had no reason not to believe it as most actors at the time did not use their real names. … Noetica might be getting out of bed, yawning like any decent oyster. ¿Qué? I sensed a disturbance in the force, and came here right away. What’s this about me (or us, as the case may be) and shellfish? Shellfish genes, was it (to borrow a phrase)? Is this the right thread for that? Ach, I can’t keep up with this generation of LHards. Fie upon their cissitudes. I find it irritating that movie credits insist on giving ‘skippy’ the best boy dolly grip or ‘AJ’ the transportation sub-captain their respective nicknames… aren’t their titles enough? I didn’t know Skippy was the best boy. Last time I watched Skippy just played the Kangaroo roles. Poor old Skippy, they must have lost their funding. Was the Brontes’ idiolect non-rhotic? I ask because the way we say either word, there’s no “r” at all at the end of “air”, “Eyre” or “Aire”, all of which would be homophones up here. O brave new world, that has such production personnel in it. I don’t think you can have a “best boy dolly grip”, can you? Certainly there are dolly grips, and the Wikipedia article includes a box of links listing all the other dramatis personae obscuratae. Are there best girls? I had seen grip explicated as “general roustabout in production”, but there seems to be little support for that. Stagehand → grip makes better sense. Was the Brontes’ idiolect non-rhotic? I assume it was rhotic. Parts of Yorkshire are rhotic to this day, and in the early 19th century non-rhoticism was a fairly recent innovation, still confined (I think) to the southeast of England. I am, as always, happy to be corrected by someone who actually knows this stuff. Stuart: Was the Brontes’ idiolect non-rhotic? I ask because the way we say either word, there’s no “r” at all at the end of “air”, “Eyre” or “Aire”, all of which would be homophones up here. According to Wikipedia “Yorkshire dialect and accent” seems to be non-rhotic, but that does not mean that it was not rhotic in the Brontes’ time. But even though the final “r” is not a consonant in a standard British accent, it is not totally absent either: it seems to me that pair is not quite homophonous with pay in British English ( I am not familiar enough with NZ English to say). However, my point is that the girl does not speak like an English child but a French one who is learning English, and I think that the spelling “Aire” is meant to reproduce a French pronunciation, not an English one. That is why the girl says both “Aire” and “I cannot say it”. She has just tried to say the name, but it did not come out right, whether she used a French “r” or an approximation of an English one. Did anyone answer Marie-Lucie’s question about how Mr Krikorian pronounces his name, and do we have any Armenian speakers here? My understanding (which may of course be wrong) is that the letters conventionally represented in the Latin alphabet as k, p and t stand for [k], [p] and [t] for about half the people in Armenia, whereas they represent [g], [b] and [d] for the other half, and for the letters transliterated as g, b and d it is the other way round. If that is right, then depending on how close he is to his roots, and which part of Armenia those roots were in, it’s quite possible he might pronounce it as if spelt Gregorian, and someone called Gregorian might pronounce it as if spelt Krikorian. Here in Marseilles there are lots of people with Armenian names. In my experience they pronounce them in the way a French speaker would be likely to interpret the spelling. What is more, Krikorian goes on in this article to misinterpret the meaning of *his own name* – he is apparently ignorant of the fact that it is an Armenian patronymic, and interprets it as an English ending. Or who knows what he’s thinking. Nor in Zild, but “Ayre”, “Eyre” and “Aire” definitely are, and in many cases “ear” and “err” as well. We speak inglish reel good up here. Thank you, M-L, for a more nuanced interpretation of the Jane Eyre quote — I was going off memory, rather than the passage in front of me. Though I stick to my guns a bit about her attitude — if I recall correctly, for a while she refuses to speak English if she can avoid it, because she doesn’t like being brought from France to this god-forsaken bit of English countryside. Which I suppose shouldn’t be called “snobbery”, but sanity! But fair enough, the name would certainly have been hard for her. By coincidence, Daniel Jones does a passage of Jane Eyre in his Pronunciation of English. GB gives the out of copyright full view and a newer preview, which interestingly enough reproduced some hand-written corrections. (I ran out of preview before I could figure out whose.) Of course, that’s a 20th Century non-rhotic RP speaker’s reading and not Jane the narrator / character or Charlotte Brontë. So it doesn’t really answer any questions. The “bah” is indicative of a bit of arrogance, no? I remember reading that ca. 1200 AD “bah” was Picard dialect. It could also be annoyance at herself for not being able to say the word properly. It is not clear if the girl spoke any English before being brought to England by Rochester (who is probably her real father), and some of the reported conversations with her could well be taking place in French. The little girl is in a difficult position in this English household in the middle of nowhere. Eight years old is a little young to be displaying “Continental snobbery”. It could also be annoyance at herself for not being able to say the word properly. Yes, that’s how I read it. The Picards have always been precocious. I prefer to believe that the speaker of the line was Rodolphe Boulanger, even though he was in the wrong novel. The Boulanger character showed me that the provincial French stereotype of the dashing aristocratic lover was more or less identical to the Midwestern American stereotype ca. 1960, with the mustachios and so on. He might as well have had the cigarette holder and the monocle too, or maybe a riding crop and a mastiff. The dashing but faithless lover with mustachios is there in Jung somewhere, I imagine. I really have no idea what you mean here, since both propositions ‘each person has exactly one name’ and ‘each name identifies exactly one person’ are clearly false. Well, this is exactly the question, isn’t it? If you can have one name among intimates and another among the general public (for example), why not one name among Spanish native speakers and another among English native speakers (for example)? If there is a principled difference between place names and personal names, I think it must lie not in the above remarks, but in this one: “People in a given place do not have a proprietary interest in what people call that place in other languages.” Do you mean to imply here that people *do* have a proprietary interest in what other people call them? I think this deserves more discussion. Well, of course bigotry and xenophobia are obnoxious. But the thread here is not just about Krikorian’s attitudes, and I think Matt’s comment would be more generously understood as an inquiry into broader issues of naming and courtesy and whatnot. And I am baffled by your not knowing what I mean, since it seems to me a completely uncontroversial statement. I’m not saying you’re wrong or you haven’t thought it through or anything like that, just that we seem to approach the issue from such different angles that it’s hard to know how to discuss it. Yes, there are many people named John Smith, but do you really not know what I mean by saying that each John Smith is personally attached to that name in a way he is not to some other descriptor (“the tall guy by the door”)? Do you mean to imply here that people *do* have a proprietary interest in what other people call them? Again, this seems to me perfectly obvious. Have you never heard the expression “Don’t call me out of my name”? People very clearly feel proprietary about their names, and (in my view) rightly so, since their name is a part of them in a way similar to the ways their religion, ethnicity, etc. are part of them. The word used in some other language for their city or country, on the other hand, should (in my view) be irrelevant to them, and I consider a touchiness about such things a sign of nationalist paranoia. Your mileage, of course, may differ. First of all I just want to say that I am completely with Hat on this. I thought his initial post on the difference between place and personal names was clear and legitimate. I also want to add that I have never heard, and am unable to parse, “Don’t call me out of my name”. You’re right, though, that it doesn’t neatly fit any of the OED’s senses for out of, prep. “We’re out of milk” needs a special sense: you can’t parse it, either, from basics. read, what those people found so hard about “Tsolmon” is easy to explain: in English there are no words (or in fact syllables as far as that can be told*) that begin with [ts]. This goes so far that an American who knew about my polyglot bent once asked me how to pronounce a Hebrew word he transcribed with initial tz and, well, simply didn’t get the answer. He seemed incapable of imagining that a word could begin with [ts]. It goes even further, in fact: there are no English words that begin with [ks] either. Word-initial x gets pronounced [z] for no other reason I can think of (even in French it only becomes [gz]); word-initial ps has its p simply dropped. * With the exception of cdesign proponentsists; look it up, and you’ll see why it proves the rule. It constantly gets misspelled, too, usually as -tists. marie-lucie, the Queen’s English for pay and pair is [pʰeːɪ̯] and [pʰɛːɐ̯]. You might have been looking for payer, which is [ˈpʰeːɪ̯ɐ] (two syllables). Most non-rhotic people apparently drop the [ɐ̯] nowadays, making the vowel length of [pʰɛː] phonemic*, and turning stork and stalk into homophones (almost [stoːk]) that I’ve seen getting confused on a blog. * OK, not in this particular instance, because there is no *peh, but… Wikipedia says vowel length is the only difference between be and beer for Australians. That’s a cultural question. Until a few decades ago, all over Europe, given names – not just those of monarchs; everyone’s – were translated at every occasion just like any other word. Its affirmative answer, BTW, is the situation I’ve ended up in. French speakers inevitably shift the stress of my first name to the last syllable, and English speakers likewise go by the spelling in interpreting the a as [eɪ]. And I really do mean “speakers”, not “native speakers” or something; my thesis supervisor uses both depending on which language he happens to be speaking with me at the moment*, and when I was in Poland in an environment where everyone spoke English with me, almost all people used the English version of my name even when talking among themselves, in Polish**. It goes without saying that almost all French people believe they know how to pronounce my surname. After all, the French orthography is graphemic (more so than German, BTW; I don’t even need to mention English): when you know the spelling, you can derive the pronunciation practically unambiguously. The accent on the last letter usually gets ignored… or rather disbelieved, I suppose. *** I almost immediately gave up on correcting people, and I don’t often mention the accent when I explain how to spell my surname, because usually they’ll never see me again anyway. And finally, by default I use my native [ʀ] in my surname. That’s simply because I only recently figured out how to articulate [r] halfway reliably. * He’s one of those people who’s capable of talking without noticing which language he’s doing it in. ** Though maybe some of them actually thought my name was English, because it’s spelled with v. The version with w is very common in Poland… in fact, one guy with that name was present, and maybe this offered an opportunity to distinguish me from him in a cheap way. *** Sometimes when bureaucracies first encounter my name in writing and the accent actually got through (many online forms just refuse it), the ć gets misunderstood as é. Never mind that the second a regularly becomes o**** and the j occasionally gets replaced by v out of sheer helpless confusion. **** I suppose some people imagine the -an- part in French pronunciation, remember that pronunciation, and then try to write that pronunciation down in a foreign-looking way instead of going back and looking the spelling up. Rhoticity aside, I seem to be talking about the marry-Mary-merry merger or part of it. Wikipedia says vowel length is the only difference between be and beer for Australians. Really? On this side of the ditch it would be the schwa at the end. I don’t know IPA but for those who can read devanagari, I would spell the two words बी and बिय respectively. I would swear to hearing a schwa at the end of the Strine “beer”, as I do with the Zild. their name is a part of them in a way similar to the ways their religion, ethnicity, etc. are part of them. Huh. No, I don’t really get this. To me, a name (of a person, place, pet, sword, whatever) is much closer to “a word like any other … an arbitrary designation”, as you described place names. I suppose there’s a range here, with personal names at one end and the word for “anemone” at the other, but the whole range is a long way from things like religious or ethnic identity, which actually have to do with what you believe and how you live. Certainly many people feel strongly about names, and all kinds of things get attached to them, but I don’t know why they should be. For (loaded) example, it seems to me a little crazy (in a bad way) for a man to think his life is incomplete if he doesn’t have a son to carry on his name. I didn’t recognize the saying “don’t call me out of my name”, but MMcM has alleviated my ignorance. On this matter, at least. David: marie-lucie, the Queen’s English for pay and pair is [pʰeːɪ̯] and [pʰɛːɐ̯]. You might have been looking for payer, which is [ˈpʰeːɪ̯ɐ] (two syllables). No, I was not looking for payer, which has two syllables. Most non-rhotic people apparently drop the [ɐ̯] nowadays, making the vowel length of [pʰɛː] phonemic*, and turning stork and stalk into homophones (almost [stoːk]) that I’ve seen getting confused on a blog. This is true for present-day pronunciation, but is probably not relevant to the Yorkshire pronunciation of “Eyre” in mid-nineteenth century. I thought that this merger was an American phenomenon. Here it’s used by African Americans as a response to being called an obscene word. It’s said very calmly with a straight face, and is a sort of pious type response, a reminder to the person using the bad language that they can do better, like the shepherd correcting the wayward sheep. This is the same sort of arrogance that caused all the immigrants’ names to be changed by frustrated typists at Ellis Island–there are so many stories about that. I don’t think this only happened in the US. It seems to have been done deliberately in Europe, otherwise how did a Jewish family get called Schnabel, for example (although I did know a ‘Beak’ in England and that I wouldn’t necessarily put down to bureaucratic antisemitism)? On this side of the ditch it would be the schwa at the end. Are you sure? On this side of the Atman’s, that schwa at the end is normal, but can be omitted with impunity at all but the toughest pubs. Try it again. I had to repeat it a few times myself to get a sense of what would be normal. I find also that a rapid fall in the pitch might be used instead of the schwa, to give a diphthong-style shape to the vowel. Are you sure? On this side of the Atman’s, that schwa at the end is normal, but can be omitted with impunity at all but the toughest pubs. No, I’m not sure. It sounds like a schwa to me, but a lifelong physical intolerance/allergy to alcohol has left me as ill-informed on matters boozy as I am on matters linguistic. Yeah, I’m gonna call him ma-HER from now on. Harr! Anemone was in fact a girls’ name in Germany in… maybe the 1950s through 70s or something. Rare, but not extremely so. I find also that a rapid fall in the pitch might be used instead of the schwa, to give a diphthong-style shape to the vowel. Pardon my French, but that sounds scary. French president Valéry Giscard d’Estaing was married to a woman named Anne-Aymone, which many people would pronounce just like anémone. Their first child was Valérie-Anne which besides combining references to the names of both parents, sounds almost the same as valériane, another plant. The Giscards had pretensions to nobility (Madame Giscard was a remote descendant of several historical personages including Louis XV) and the French nobility tends to favour unusual, often archaic names (her mother was named Aymone, a feminine form for the medieval name Aymon). But those almost-botanical names were considered a little over the top by the French public. Giscard comes from a very ancient French family of noble-name collectors. Anne-Aymone Marie Josèphe Christiane Sauvage de Brantès is his wife and a distant cousin. Valérie-Anne Marie Aymone Giscard d’Estaing, chevalier de la Légion d’honneur, is his daughter. As for Valéry Marie René Georges Giscard d’Estaing himself: Giscard is not descended from Vice-Admiral d’Estaing, who fought in the American Revolutionary war. According to Wiki, the name was adopted by his grandfather in 1922. Some time ago there was a discussion here about the name “Mary” or in French “Marie” being sometimes included in men’s names (though not as a first name). This is yet another example of its use in “the best Catholic families”, calling on the Virgin Mary for protection. The whole string of names is only used in a birth certificate or a biographical notice. For instance, authors only sign their works with their usual first name. There is no such thing as indicating one or more “initials” between first and last names. Oy, mon ami, you have no idea how much I had to pay to get the w inserted! Heh. That was fun, especially once I’d read it properly – for some reason I had read “Schweisshund” as “Schweizhund” which had me thinking of Federer. Princess Winnaretta obviously had no children, but when her sister Isabelle-Blanche committed suicide, Winnaretta took charge of her daughter, Marguerite Séverine Philippine Decazes de Glücksbierg, and Margeurite’s 1910 marriage to Prince Jean Amédée Marie Anatole de Broglie (also reputed to be gay) produced three more princesses. After the Prince’s death, Marguerite then married a cousin of Winston Churchill, taking the name of Daisy Fellowes…. The plastic arts, too: Sterling and Stephen Clark were the grandsons of Edward Clark, Isaac Singer’s business partner. The principle that always having to copy foreign pronunciation for names is silly is quite correct – imagine saying names including the tones of some foreign languages, for example. Thus since some “liberal” people make a woolly-headed fuss about getting it right some “right-wingers” get correspondingly upset. However in this case it is only a little bit of stress, and it is not all that clear what the natural English stress would be really, so you might as well use the original. What a waste of good spam, ellis – I can’t afford an new Arsenal shirt, and AJP hates The Gunners. I’m revising my opinion. I’d never met a supporter I liked before. I’m from Argentina (a Spanish-speaking country) and I think there is no way to define a correct pronunciation for “Sotomayor”. Spanish varies from region to region (Spain and LatAm). For instance, you’ll find difference in the “stress” given to the “S”. Also, there is a big issue with “-mayor”. In most countries you’ll hear it pronounce as the begining of the “mayonnaise” word in english. But, in the Rio de la Plata spanish it will sound complete different, like “Shore”. You can check differences in spanish pronunciation for “amarillo”… try to compare the different spanish speaking countries on the list. Different countries, different ways to say the same word. Which one is the correct? All? None? German: It’s great to hear from Argentina, where I lived many years ago! You’re quite right, of course, about the variety of pronunciations, but the question here is not about the exact Spanish pronunciation but about how to pronounce the name in English: whether to at least nod politely in the direction of Spanish (basically by putting the stress on the last syllable, which we routinely do for French names: so-to-mah-YOR) or, as Krikorian and his ilk would prefer, by making it sound as “American” as possible, stressing an earlier syllable and presumably reducing the final vowel to a schwa. There is no such thing as indicating one or more “initials” between first and last names. Indeed, the middle initial is a mostly Anglophone phenomenon and rather rare elsewhere. the middle initial is a mostly Anglophone phenomenon and rather rare elsewhere. It is VERY common in India. Growing up, I had thought of it as primarily a South Indian practice, since their names seem to be agglutinative and at times awkwardly long, at lesat to this non-Dravidian. In recent times I have seen the practice spreading to North Indian names as well, such as Mohendra Singh Dhoni, the cricket captain. He is now most often “M.S. Dhoni” The practice could still be Anglo in origin, since it is most noticeable in cricket teams and film credits. I have always assumed it was at least in part an attempt to avoid the sort of issues discussed here by reducing their names to initials that anyone could say. I still find it amusing to see the English initials of names spelled out in devanagri characters in credits, though. According to my Hispanic students, the correct pronunciation is Sew-toe-ma-YOR. They aren’t buying the “MAY-ər” thing. They say it’s an “apellido”–a last name–and can’t be changed or anglicized. There are quite a few Sotomayors in Mexico but it’s a hugely puertoriqueno name. German: Spanish varies from region to region (Spain and LatAm). … you’ll find difference in the “stress” given to the “S”. “stress” is not quite the right technical word here, but “s” is pronounced differently in Spain and in Latin America. Also, there is a big issue with “-mayor”. In most countries you’ll hear it pronounce as the begining of the “mayonnaise” word in english. In English, most people don’t say “ma-yo” as in French or Spanish but “MAY-o” (and the “y” is very, very weak, not as in Spanish or French). That’s why Nijma’s Hispanic students (or any other Spanish speakers) do not recognize “MAY-ər” as something they would say. But, in the Rio de la Plata spanish it will sound complete different, like “Shore”. “Shore” here corresponds to “yor”, not to “mayor”. It is not because of this specific word but because of the pronunciation of “y” or “ll” in Argentina in general. I think that some other people in Argentina must say “ma-jor” (with “j” as in English, not as in Spanish). It may be anglo and Indian — which I didn’t know – but I’ve noticed many others (including m-l) address me as AJP, rather than as ‘Arthur’. Apart from J. Arthur Rank (on gong), I think the US convention of putting an initial before a first name isn’t used much in Britain. “AJP”, that is what you yourself use in your signature! You may have noticed that I often initialize other people’s names too. If you wrote to me I would probably sign my reply “m-l” (which is what some people actually call me). * I went to high-school to a guy of French descent with the surname “Berquier”. This was inevitably pronounced “Ber-queer”, which he good-naturedly accepted. Being a little know-all, I refused to accept common usage and called him “Berkier” as being closer to the French. For some reason, if I remember rightly, I noticed later that he was using “Berkier” himself. * I also feel resistance to people (countries) who try to force me to abandon English versions of foreign place names (e.g., Mumbai instead of Bombay, etc.). But I’ve been guilty of the same thing myself, in the opposite direction. When I was in Japan I tried to have the Japanese transliteration of “Brisbane” changed from ブリスベーン (Burisubeen) to ブリスベン (Burisuben). Since I worked in the Australian Embassy I was in a position to make a difference, too. I like to think that, partly because of my objections, the Embassy started adopting the short variant over the long variant previously current. I note with gratification that ブリスベン is now by far the commonest form, although it’s hard to say how much my efforts had to do with it. Probably not a lot. * In Australia, vowel length is not the difference between ‘be’ and ‘beer’, and whoever wrote that on Wikipedia is talking through their hat (sorry Steve). It’s true that the schwa is commonly dropped from ‘beer’, leaving just a lengthened ‘i’ — i.e., a lengthened short i. Imagine lengthening the vowel in the word ‘bit’ and leaving off the /t/. That’s the pronunciation of ‘beer’. The problem is that this is not the vowel in ‘be’. The vowel in ‘be’ is not, as might be imagined, a nicely lengthened /i/ sound at all. It’s a diphthong, which can sound to unsuspecting foreigners like /ei/. ‘Be’ sounds like ‘bay’, ‘me’ sounds like ‘may’. This is nothing like the vowel in ‘beer’, with or without the schwa. By the way, the one without the schwa is precisely the one that is omitted with impunity in the toughest pubs, not the other way round. I went to high school with…. Did you wear your dressing gown at the Embassy, Bathrobe? If so, the Japanese may have thought you were ‘making a statement’. Quite right, m-l. Interesting that people call you that. Also that D.M. pronounces his name like the Welsh ‘Daffid’. What precisely is omitted with impunity? The schwa, or the word itself? If the latter, why should it be omitted? marie-lucie, thank you for catching that one. I can’t even make sense of it myself. The one without the schwa is the plebeian pronunciation that is more likely to be uttered in tough pubs. An extended ‘Bit’ without the T for beer sounds like I imagine South Africans might say it too, but I don’t know if I’m right. Bathrobe, thanks, perhaps you just typed “omitted” when you intended “emitted” which would make sense in the context. English place-names like Bombay no longer appear on maps as per U. N. agreement (about 40 years ago) to use only local names. I also feel resistance to people (countries) who try to force me to abandon English versions of foreign place names (e.g., Mumbai instead of Bombay, etc. I know several Mumbaikars who still call it Bombay and at least one who can work himnself up into quite a lather on the subject. MMcM: Sorry, but I don’t know what you mean by domain in this context. I don’t know a single soul who calls my country Isle de France. Thanks, Stuart, especially for your comment that some Mumbaikars still prefer the name Bombay. This is not to be wondered at. As for the map, MMcM, you see that Bombay is in parentheses below Mumbai. The parentheses mean that the former is an alternate of the latter, which is to be taken as official, made so by the Government of the Republic of India. Now in the upper right hand corner you will see the note The boundaries and names shown and the designations used on this map do not imply official endorsement or acceptance by the United Nations. This disclaimer is placed by the maker, the Cartographic Section of the Department of Peacekeeping Operations (lower right corner), because this is a special purpose map that includes information useful to the users (specifically the peacekeepers). By domain I presume you mean something like under the auspices of. But more importantly, would you tell me how you found this map, and any other UN map. I suspect that many maps, and many other practical applications of language policy, will have such a dose of Realpolitik. An agreement not to endorse the older names does not mean they will never appear. By domain, I meant DNS. I asked Google for “map of india site:un.org” and that was at the top. Now, it’s quite true that the third result, in OCHA’s General Maps section, does not have Bombay or Madras (or Calicut in any form), though it does have Calcutta (and the boilerplate disclaimer at the bottom). Neither did I mean to imply that things will never change. Can anyone tell me why the word name with the word domain in front ‘can’t be submitted’ because the phrase is ‘questionable content’? That’s the message I got. That’s my fault — at some point I added “domain.name” to the MT-Blacklist, goodness knows why. I just removed it, so you’re free to use the phrase. I was merely saying to MMcM that the phrase domain name had been circling ’round my mind (after his comment note domain), but it wouldn’t come in for a landing. Mumbaikars still prefer the name Bombay. This is not to be wondered at. Indeed. My cousin has now lived in Bengaluru for more than 2 years but to her it’s the same old Bangalore she has always lived in. I can truthfully say the same, S-man. But do you know any double souls who might? Or (nearer to my or our as the case may be own concerns; voir Le Neutre et le nouement, de J-P Martre) multiple? I don’t normally comment on typos, but unschawed vowel really gets my ghoti. Thanks Stuart,’Fish’ would make a good name for one of our ghoatis. O, sorry. Unschwaed, unshwaed, unsewaed, unshevaed, unshvaed: these are all justifiable by spellings of the noun that are recorded in OED. But perhaps unschawed rings one change too many or too removed. I sceald schaw more restreinte (voir L’Huitre et le noyant). Incidentally, -schaw- (for -show-, mainly) turns up a lot in OED citations, including 110 hits for the bare form schaw itself. My favourite occurrence in a headword is wappens(c)hawing [sic], to which most of the dozen headwords with the substring -schaw- point: “A periodical muster or review of the men under arms within a particular lordship or district.” Unschawen men from tough pubs, I warrant. But perhaps unschawed rings one change too many or too removed. Nope, I just like any excuse for bad, pretentious wordplay. … I just like any excuse for bad, pretentious wordplay. Et tu, Stu the non-Grumbler? Could be a mid-Tasmanic trait. Something-manic, anyway. 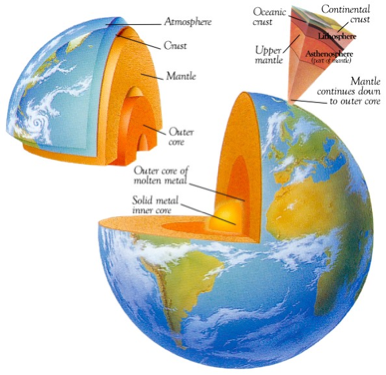 More likely, its centre of gravity (or better, of levity) is located somewhere deep within the solid metal inner core (cf. “Metal as Anything”). It is well sometimes to state the obvious, since that is what we overlook most often.